The announcement comes almost two years to the day since Williamsburg National transitioned to new ownership and management. 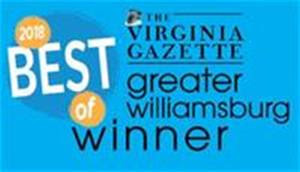 Thank you to all of our locals for your support and your votes. 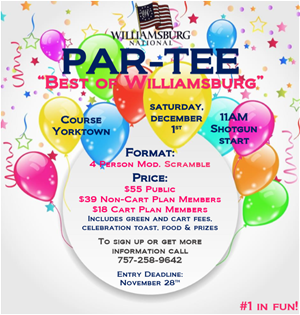 Come celebrate Williamsburg National winning Best of Williamsburg on Saturday December 1st. Read more below, stop by the pro shop or call 757-258-9642 for more info. Click below to request membership information and sign up for a discounted preview round. We’ll do the work and you’ll get the accolades. Click below, tell us a little more about your event and we will get right back to you with information and pricing.